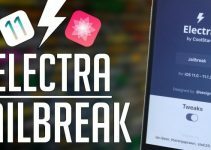 After a long wait of seven months, the Electra Team has finally released SemiRestore (Rollectra) for iOS 11. 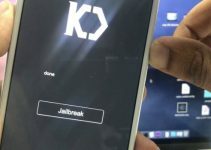 You can download this unjailbreak tool for your iPhone and other devices below. Which iOS versions are compatible? SemiRestore11/Rollectra is an on-device unjailbreak utility for Electra jailbreak. It is developed by Electra Team member Pwn20wnd. It utilizes the APFS snapshot of the system partition to restore the system partition to its stock state. Afterward, it destroys all data that is not present in the system partition of the filesystem without an iTunes restore. Remember, Rollectra reverts all changes made to your device’s filesystem along with user data. Therefore, the developers recommend that you perform a full backup of your device via iTunes before using this tool. 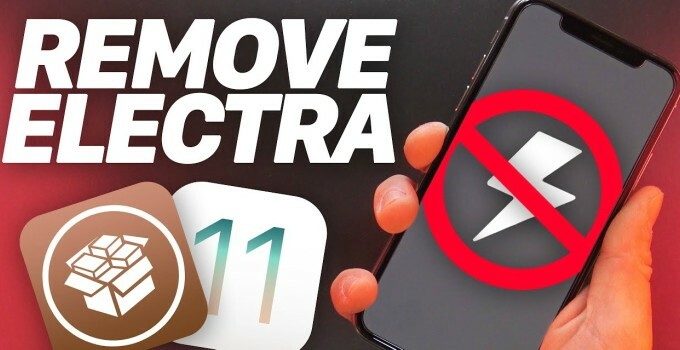 Since Jay Freeman no longer updates Cydia Eraser, Rollectra is the perfect alternative for iOS 11 users. It is immensely useful if a tweak messes up your device or you ruin everything by modifying a filesystem setting. As soon your device goes back to its stock state, you can then start afresh and jailbreak it. Or you could just keep your device in its original state if you feel jailbreaking is not for you. As of now, only the devices that are running Electra1131 are compatible. Here’s the full list of supported firmware versions. The developer will add support for older versions in the future versions of Rollectra. If you try to install it on these versions, Cydia will throw an error. 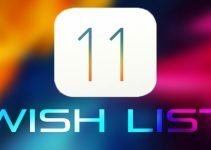 February 11, 2019 – Compatibility added for iOS 11.x-11.4.1 firmware versions in the latest version. August 31 – Jailed version released with iOS 11.3 to 11.4 Beta 3 support. iOS 11.2-11.2.6 compatibility coming soon. Step 1 Open Cydia. If you are using the jailed Debian package, skip to step 5. Step 2 Go to the Search tab and search for “SemiRestore11”. Step 3 Select the appropriate result from the list. 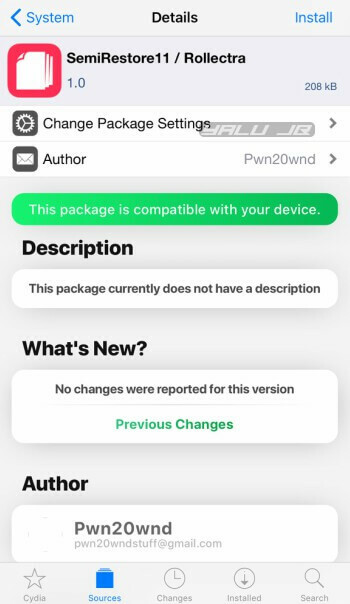 Step 4 Install this package from Packix Cydia repository. Once the installation process finishes, the app should appear on your home screen. Step 5 Launch SemiRestore tool from the home screen. Step 6 Tap Unjailbreak to start the unjailbreak process. Step 7 SemiRestore will now display a confirmation message before it reverts the changes. Tap Erase All to confirm. Step 8 Wait for it to restart your device. Once the progress bar hits completion, your device will reboot in the unjailbroken state. Some users are having a hard time getting past the Apple logo reboot screen. If your device gets stuck on the Apple logo, simply hard reset it. If you can’t install the package on your iPhone or iPad, check your firmware version and its compatibility status. Check out our Twitter and Facebook pages for round-the-clock jailbreak news and updates. How can I remove Electra jailbreak from iOS 11.4.1 & revert back to the stock state? Hi,is this erase all data , i remeber there was switch to make full restore or not what can i do if i want to remove only jailbreak with full restore? Yes, this erases all user data. Which iOS version are you using? I have A BIG error when i do the restore it works perfectly but here is the error when i download cydia again my cydia comes out with the same error as when I delete it the error is dpgk_loked and some yellow letter and im trying to fix it with m terminal but when i install mterminal it wont open and close by itself if you can halp me i would appreciate it a lot thank you. Hello, Marlon. Try using this – Delectra. Unfortunately, Packix repo has removed all download links for that package so I am unable to find a working link. You can only get it from Cydia. hey yalu ios 11.4.1 jailbreak ? You can do with Future Restore tool. You can update using OTA or via iTunes. is there any way to use semirestore11 / rollectra unjailbreak for electra ios 11.3.1 if your cydia is broken? Yes, you can install its Debian file via Filza. Download link is given above. If you are experiencing a lot of errors, unjailbreaking then rejailbreaking can fix almost everything. So what your saying is that I can go back to my unjailbroken state and stay on 11.3?